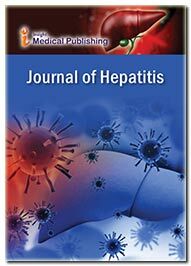 Journal of Hepatitis is a International scholarly peer-reviewed journal, with internationally recognized scientists on the editorial board. This Journal Publishes articles in all fields and areas of Hepatology and Liver diseases that considers articles concerned with any aspect of Viral Hepatitis such as Alcoholic hepatitis, Chronic hepatitis and Cholestasis, as well as basic research on Non-alcoholic fatty liver disease. The Journal covers wide range of topics in this discipline and creates a platform for the authors to contribute towards the advancement in Functional Hepatology, Surgical Hepatology, Liver disorders, Clinical Hepatology, Degenerative Hepatology, Experimental Hepatology, and novel findings in Liver development, regeneration, and Transplantation etc. This scholarly publishing is using Editorial Manager System for quality tracking system for online manuscript submission, review and tracking. Editorial Board members of the Journal of Hepatitis or outside experts review manuscripts, at least two independent reviewer's approval followed by the editoris required for the acceptance of any citable manuscript. Biliary Atresia is the condition in which the bile ducts get destroyed may be partially or completely resulting in obstruction of bile to intestine. Irreversible liver damage can occur as the bile gets collected in the liver. Symptoms include yellowish discoloration of skin and the white part of the eyes, dark urine. Hepatitis B is a virus that infects the livercamera. Most adults who get it have it for a short time and then get better. This is called acute hepatitis B. Hepatitis B vaccine is the vaccine which is injected to the person who got infected with hepatitis B virus (HBV),it is used for the prevention of hepatitis B, It consists of a surface antigen (HBsAg), The vaccine contains one of the viral envelope proteins, hepatitis B.
Schiffs Disease is the extensor hypertonia of the thoracic limbs and paraplegia resulting from acute, severe, compressive lesions of the thoracolumbar spinal cord that remove the inhibitory effects of neurons in the lumbar spinal cord. Seen in dogs, usually caused by trauma or herniated intervertebral disk. Hepatitis C is an infectious disease caused by hepatitis C virus (HCV). It affects primarily the liver, caused by the infection is often asymptomatic, but chronic infection can lead to scarring of the liver and ultimately to cirrhosis, which is generally apparent after many years.Hepatitis C is spread most commonly through inadvertent exposure to infected blood. Intravenous drug abuse is the most common mode of transmission. The risk of acquiring hepatitis C through sexual contact is low. Inflammation of the liver due to an adverse reaction with a drug is called Drug-induced hepatitis. Drug induced hepatitis is similar to viral hepatitis, they both can cause elevations in blood levels of aspartase amino transferase and alanine aminotransaferase as well as anorexia,fatigue and nauses. Cholestasis is a condition caused by rapidly developing (acute) or long-term (chronic) interruption in the excretion of bile (a digestive fluid that helps the body process fat). PBC Primary biliary cirrhosis is a disease in which the bile ducts in the liver are slowly destroyed. Bile a yellow colour fluid produced in the liver plays a role in digesting food and helps rid your body of worn-out red blood cells, cholesterol and toxins. Liver inflammation caused by a virus. Specific hepatitis viruses have been labeled A, B, C, D, and E. Some other viruses, such as the Epstein-Barr virus and cytomegalovirus, can also cause hepatitis, but the liver is not their primary target.The term viral hepatitis can describe either a clinical illness or the histologic findings associated with the disease. Acute infection with a hepatitis virus may result in conditions ranging from subclinical disease to self-limited symptomatic disease to fulminant hepatic failure. Adults with acute hepatitis A or B are usually symptomatic. Persons with acute hepatitis C may be either symptomatic or asymptomatic. It is the condition of Liver in which the inflammation lasts for a time period of atleast 6 months. This condition ranges from mild to causing relatively little damage, or may be serious, causing many hepatocytes to be destroyed. It may lead critical conditions like cirrhosis and liver failure. Alcoholic hepatitis results due to heavy intake of alcohol resulting in liver inflammation. The amount of alcohol consumed determines the risk and severity of liver damage. Women are at high risk for Alcoholic hepatitis. Symptoms include yellowing of skin, loss of appetite, fatigue and dark urine. Non-alcoholic fatty liver disease is the most common liver disease. This disease can occur in liver to people who consume little or no alcohol. It is one of the causes of fatty liver; occurring when fat is deposited in the liver due to other causes than excessive alcohol use.